Project Fatherhood follows the lives of the men as they struggle with the pain of their own losses, the chronic pressures of poverty and unemployment, and the unquenchable desire to do better and provide more for the next generation. Although the group begins as a forum for them to discuss issues relating to their roles as parents, it slowly grows to mean much more: it becomes a place where they can share jokes and traumatic experiences, joys and sorrows. As the men repair their own lives and gain confidence, the group also becomes a place for them to plan and carry out activities to help the Watts community grow as well as thrive. 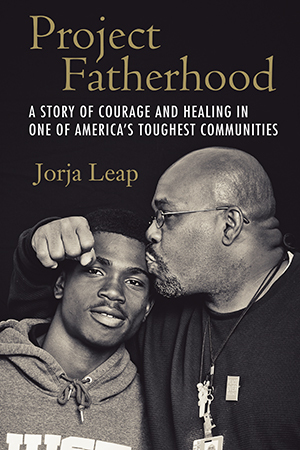 By immersing herself in the lived experiences of those working to overcome their circumstances, Leap not only dramatically illustrates the realities of fathers trying to do the right thing, but she also paints a larger sociological portrait of how institutional injustices become manifest in the lives of ordinary people. At a time in which racial justice seems more elusive than ever—stymied by the generational cycles of mass incarceration and the cradle-to-prison pipeline—the group’s development over time demonstrates real-life movement toward solutions as the men help one another make their families and their community stronger. FOUR: Are You Gonna Leave Us, Too?